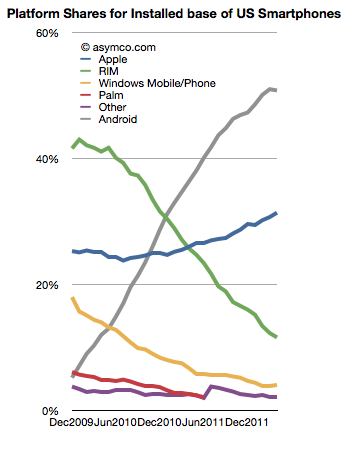 New smartphone users dropped to a very low level, below the trend line. 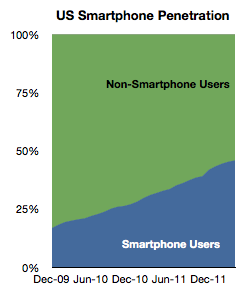 Slightly less than 300k new smartphone users abandoned their feature phones every week during the month. Compared with the 1.5 million per week in November, it’s quite a slowdown. Penetration growth slowed as a result as well. 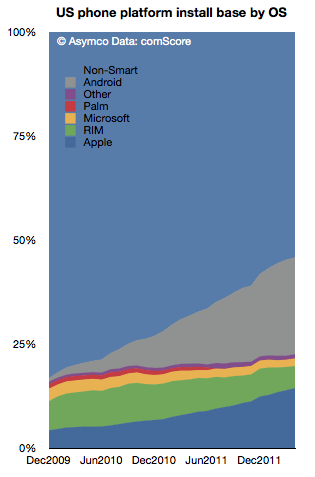 Only 1.3 points of share were gained by smartphones. It’s still likely that the penetration will reach 50% by the end of summer this year (as was predicted in 2010). 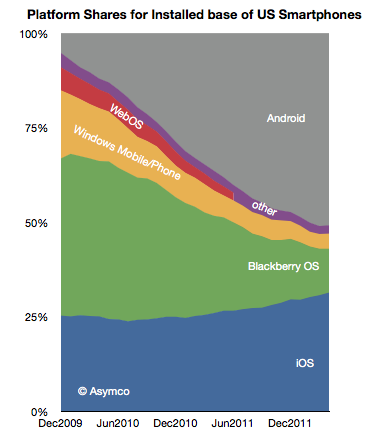 This last chart shows the first time when Android share dipped sequentially. It should be watched closely as an indicator of a change in market dynamics. 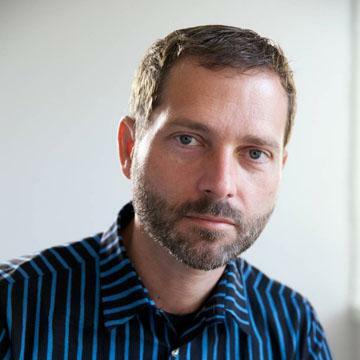 As we reach saturation, the basis of competition will change. 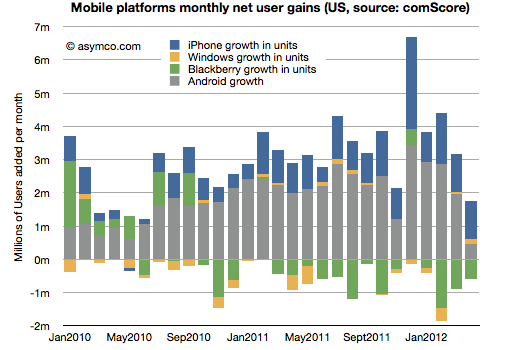 Finally, the last chart shows net user gains for the platforms. 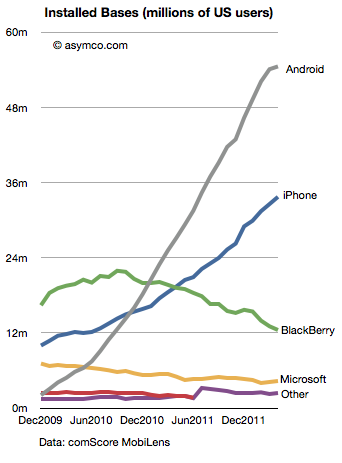 It’s perhaps too early to suggest that we’re seeing a slowdown in the US for Android. Perhaps there will be a return to growth in the fall. The concern has to be that rather than seeing the net adds growing–as they have for two years with only two contiguous months of decline–Android net adds have been falling for four months.